A good friend of mine thought he wanted a custom rifle, so he asked me to put one together for him. He liked one of my rifles with the same contour barrel, so he told me to order the same one. After he held it in his hands, he decided it was a bit to heavy to climb up a tree with. I tried to tell him, but he just had to have what he wanted. This rifle is now for sale as I am putting together a sporter rifle for him. The rifle has 35 rounds through it. I developed a load at 300 yards with the 140 grain A-Max. This was going to be a hunting rifle. It shot consistent groups in the .700" range at 300 yards. I will share load details with the buyer, and will also develop a load with match bullets like the SMK and Berger if so desired. The rifle was chambered by Bruce Baer. I made the stock, bedded it, sprayed it with nine coats of auto clear, wet sanded it and hand rubbed it to a semi-matte. 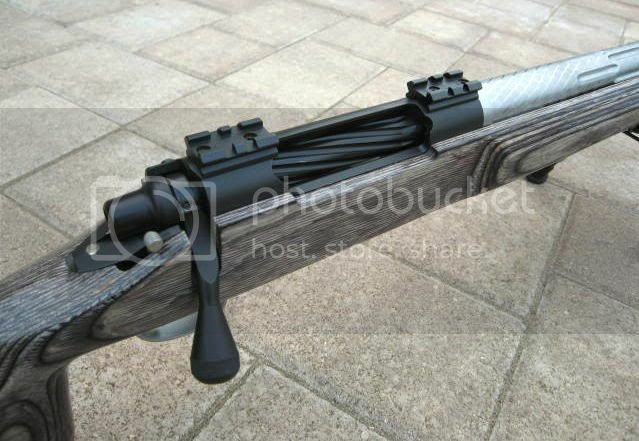 ~ Hart, 8 tw, interrupted fluted barrel, .930" @28"
That is Joel Russo who is selling this gun. He ain't no amateur stock maker. He is one of the best in the long range biz. Check this out http://www.russoriflestocks.com/. This rifle is the deal of the century if I only had the $$$. She's a beauty. What's the approx weight? The rifle weighs 10.5 lbs. Bump for the weekend shoppers..